Phosphorus is a dominant environmental factor in fostering eutrophication, and its biogeochemical behavior has attracted much attention. 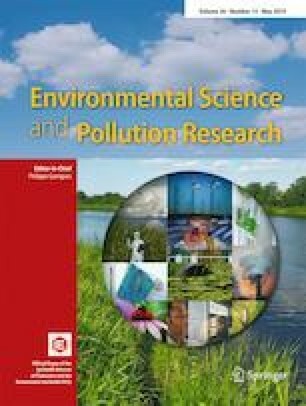 This study investigated the distribution of phosphorus fractions and the adsorption-desorption characteristic in the soils of wetlands converted from paddy fields with a restoration duration of 1, 2, 3, 5, 13, or 19 years. The results demonstrated the content of total phosphorus (TP) first increased, which was then reversed until the process stabilized after 5 restoration years. Labile inorganic phosphorus (L-Pi), labile organic phosphorus (L-Po), iron-aluminum–bound phosphorus (Fe.Al-P), and humic phosphorus (Hu-P) peaked at 1–3 restoration years, respectively, while moderately labile organic phosphorus (Ml-Po), calcium-magnesium–bound phosphorus (Ca.Mg-P), and residual phosphorus (Re-P) decreased within 0–5 restoration years. During the 5th to 19th restoration years, the contents of all phosphorus fractions stabilized within a minor fluctuating range. Redundancy analysis (RDA) results indicated that total nitrogen (TN) and soil organic matter (SOM) are the important environmental factors controlling redistribution of phosphorus fractions. The capability of restored wetlands to retain phosphorus increased first and then decreased with the extension of the restoration duration. Path analysis (PA) results demonstrated that pH, TN, and Fe are the primary factors for the capacity of soil to retain phosphorus, followed by SOM, Mn, and electrical conductivity(EC). Fe.Al-P and Hu-P had a higher release risk with approximate amounts of 197.25–337.25 and 113.28–185.72 mg/kg during the first stage of restoration, which needs to be focused. This work was supported by the National Natural Science Foundation of China (41771505 and 41571480) and Chinese Scholarship Council.